Last weekend was a pretty awesome one, as far as weekends go. Especially as we got to spend our Saturday in good old London Town with the RocknRoller Baby family! We spent the morning decorating cupcakes with Martha from last years Great British Bake Off (as you do), then spent a couple of hours at the London Transport Museum before heading to Leicester Square for an hour of theatrical fun. I love taking the girls to the theatre. There's something so magical about live shows, especially when they are adaptations of your childrens' favourite books. 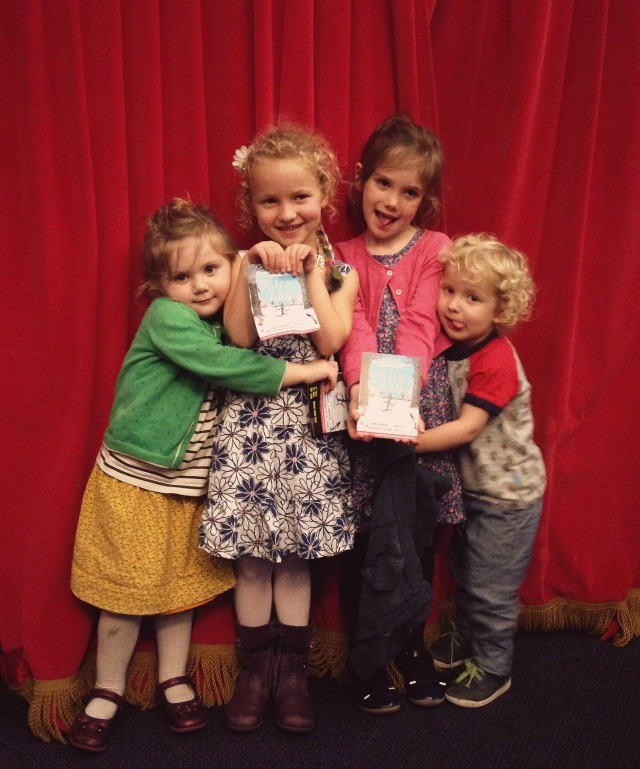 Stick Man, by Julia Donaldson is one of them, so we were all particularly excited about seeing the characters we know and love come to life on the stage! 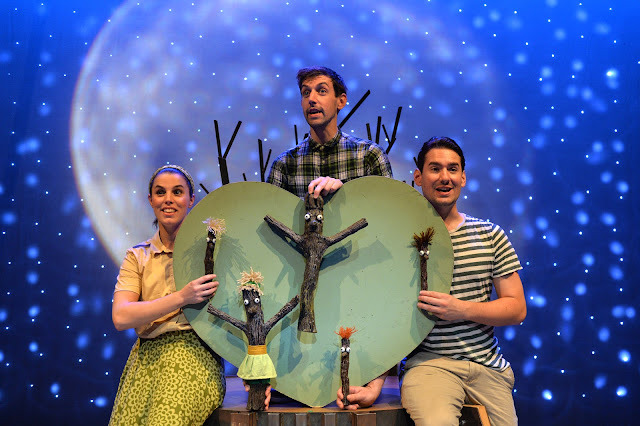 Stick Man Live is an award winning production with a cast of just three. The set and props are simple, the music is catchy and the actors switch parts so effortlessly and seamlessly, it really is a joy to watch. It is made up of a combination of puppetry, dancing and brilliant songs that you really can't help but sing along to (and continue singing all the way home!). There is also a LOT of audience participation which the girls absolutely loved! If you're looking for a great and reasonably priced afternoon's entertainment in the West End this festive season, I can wholeheartedly recommend Stick Man! 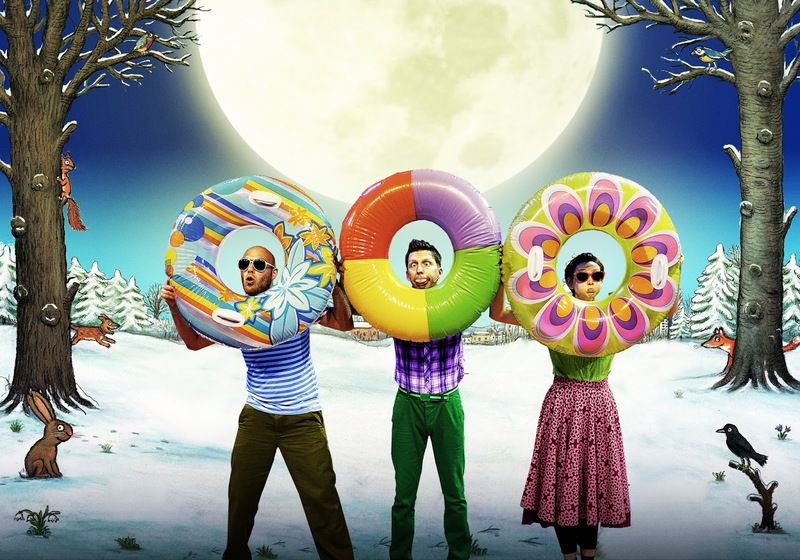 It is on at the Leicester Square Theatre in London from now until 3rd January 2016 and also at Edinburgh's Christmas - St Andrews Square from 20th November - 29th December. Family tickets cost £55 and can be purchased online here. Don't forget that there is a family ticket up for grabs as part of the #WinChristmas giveaway that I am co-hosting with Ruth, Emily and Carolynne! If you haven't entered yet, you can do so here. We invited to Leicester Square as guests of the theatre in exchange for this review. All words are honest and my own. Fancy photographs courtesy of Steve Ullathorne. Stick Man is one of my sons favourite stories (and because it has Santa in it is read more often at this time of year!). He would love this show so hopefully they will eventually do a national tour. Ahhhh love the stick man, what a fab show!